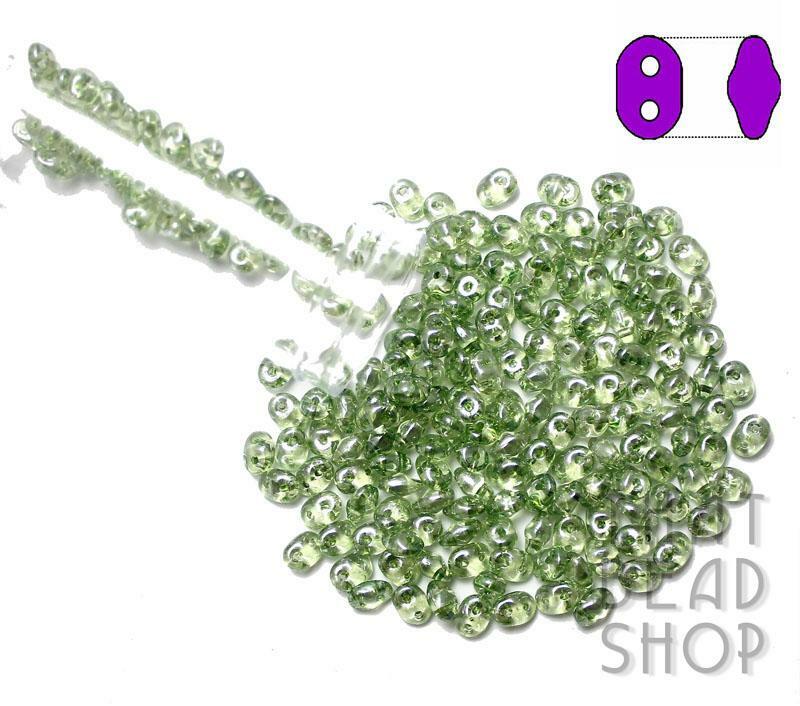 SuperDuos (sometimes written as Superduos or Super Duos) are oval-shaped two-hole glass beads with slightly dimpled ends made in the Czech Republic. 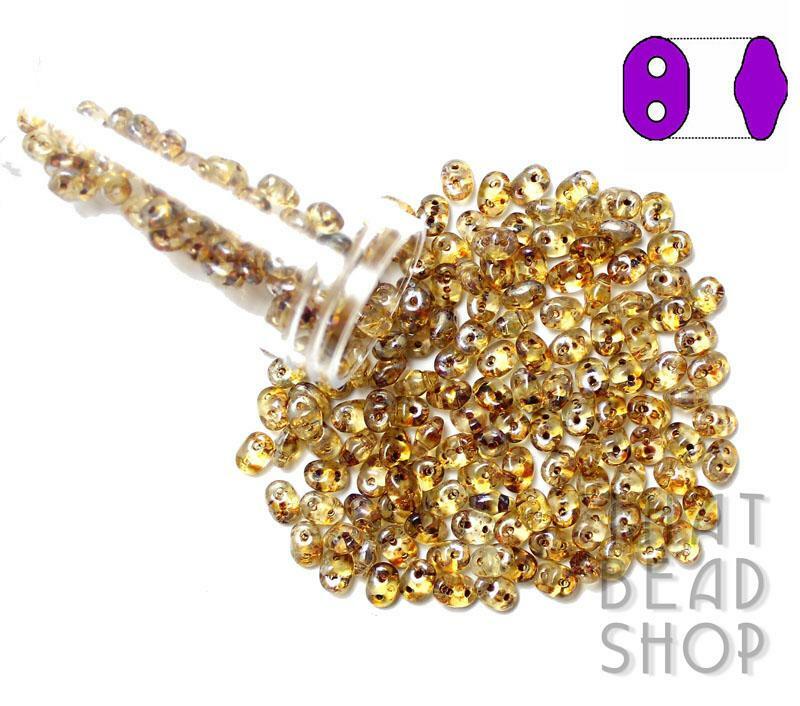 Genuine SuperDuo dimples create a nested "honeycomb" pattern. 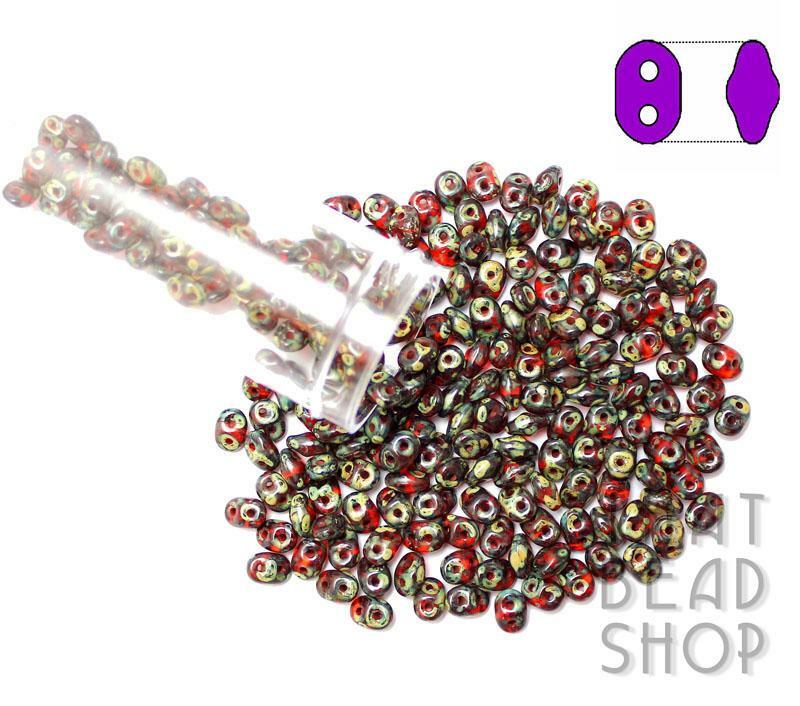 Super Duos are very similar to Czech "Twins" as they both have two holes and an Oval shape and both are 5mm in length, but unlike "Twins" the SuperDuos are a pressed glass bead. 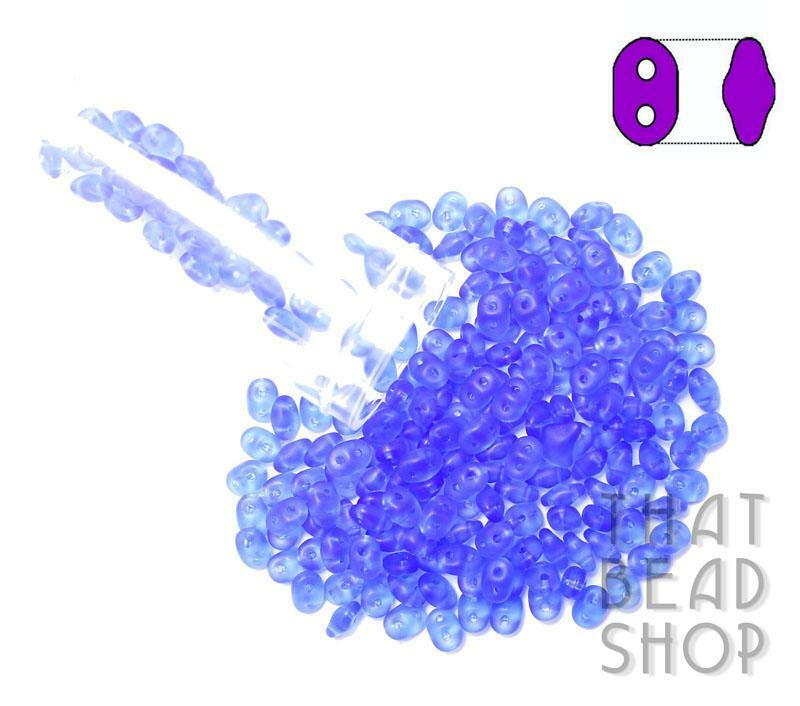 Technically they are not a Seed Bead as they are not made by cutting a glass rod but are precision made by using a pressed glass mould. 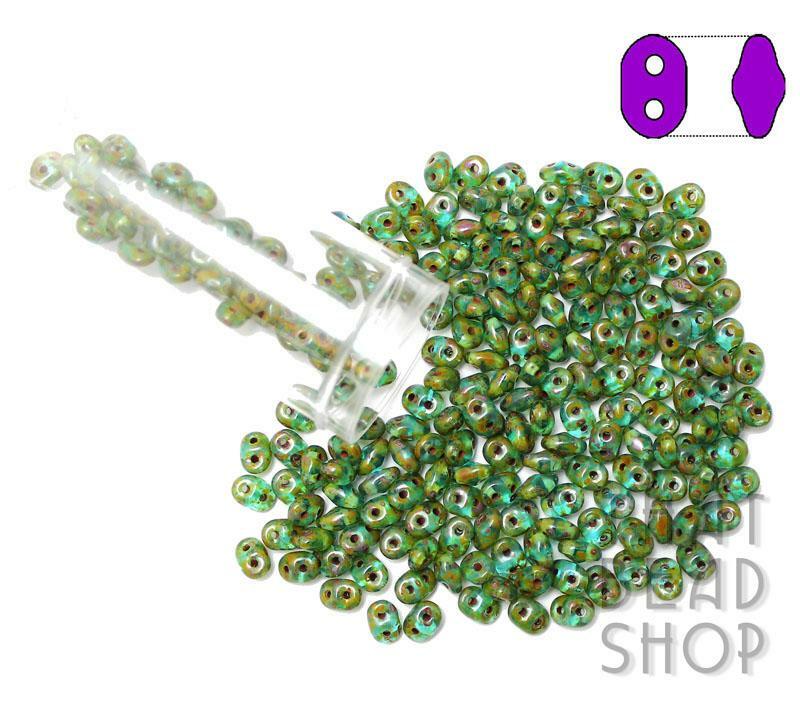 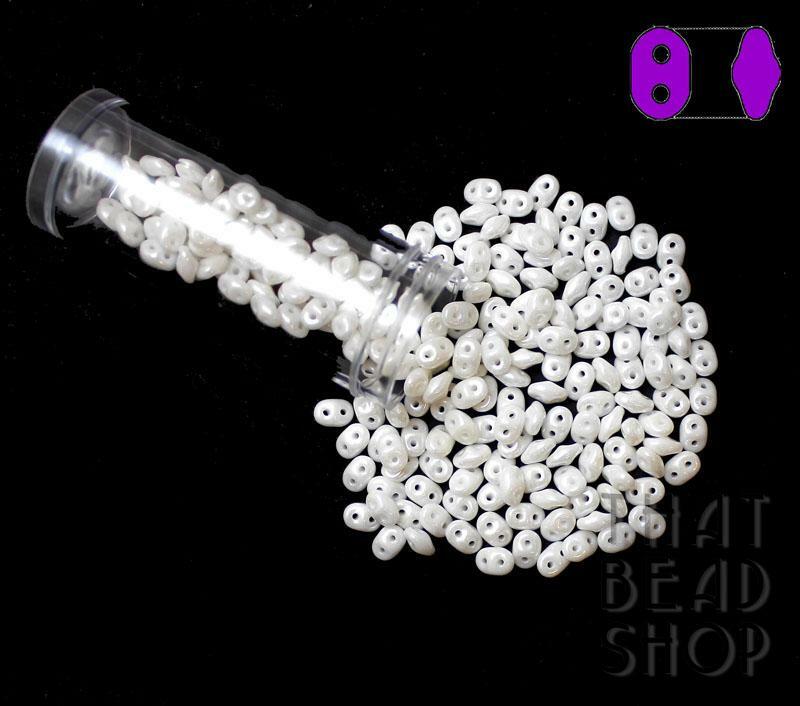 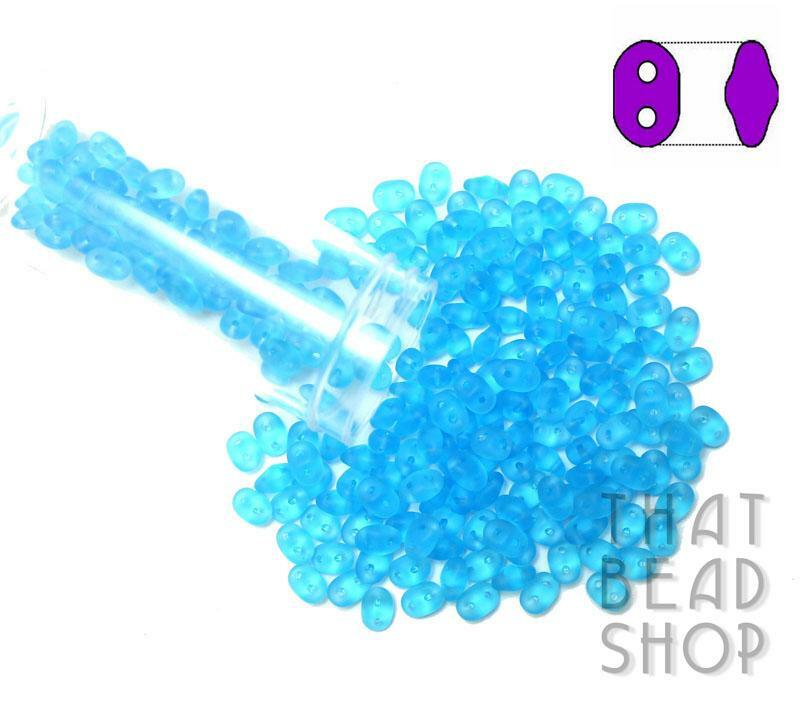 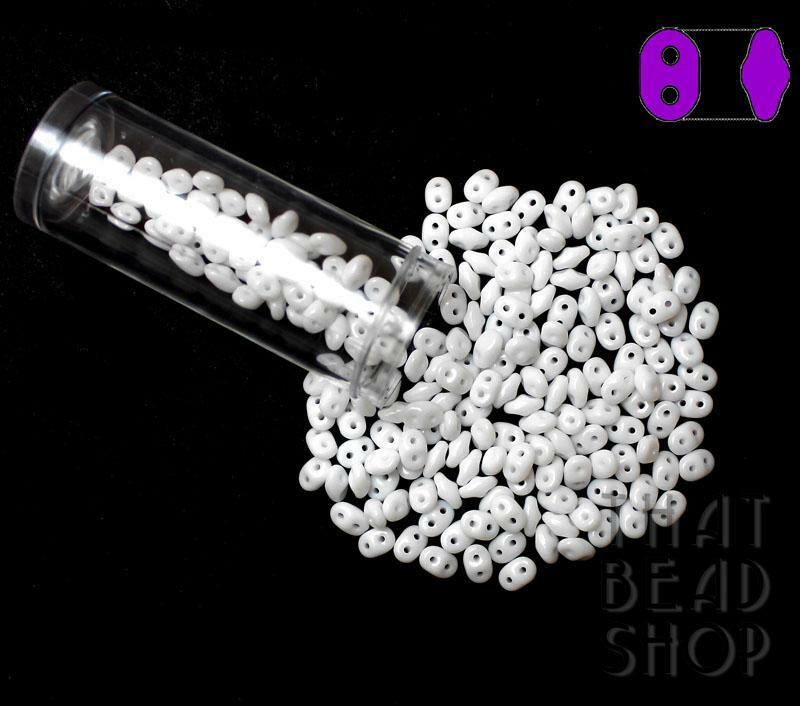 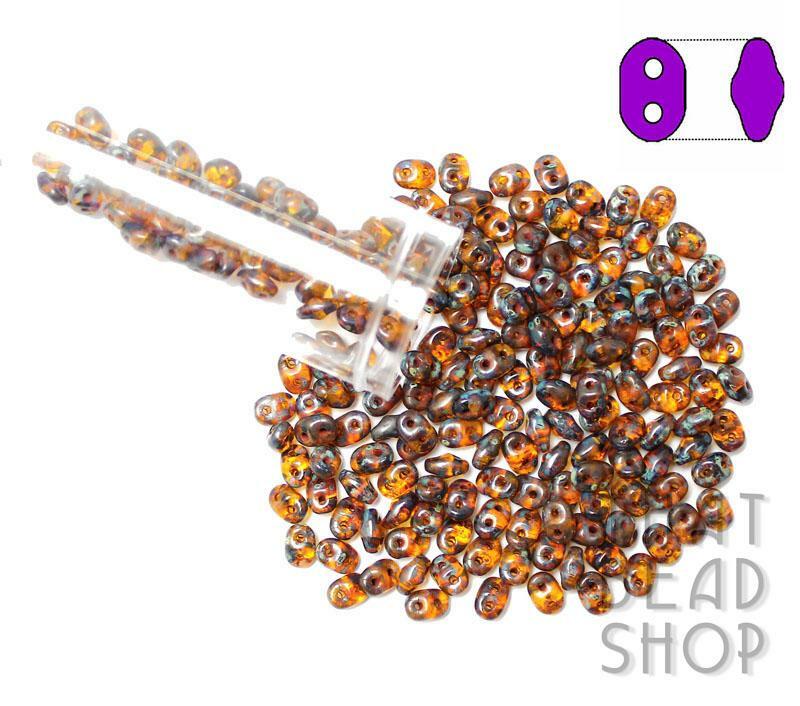 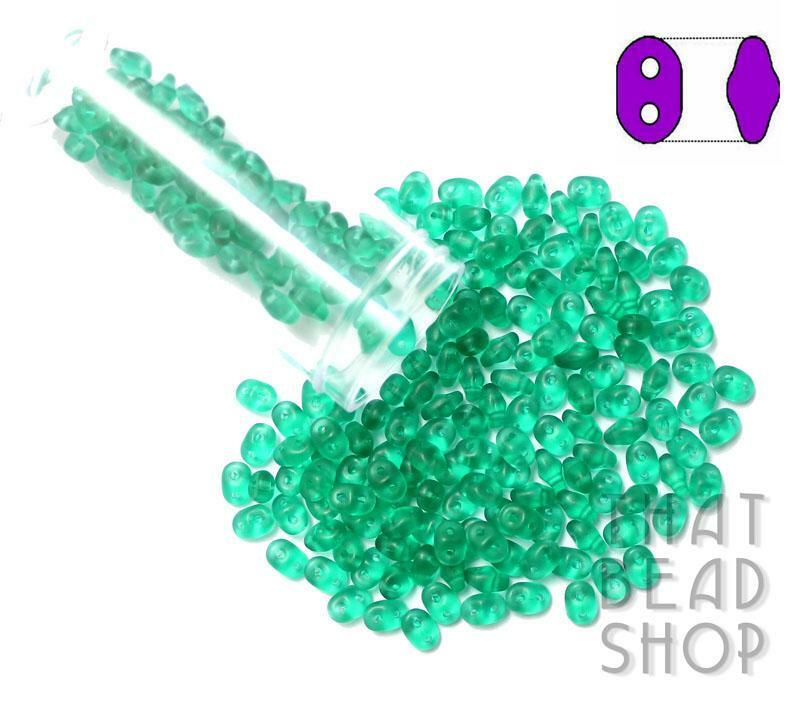 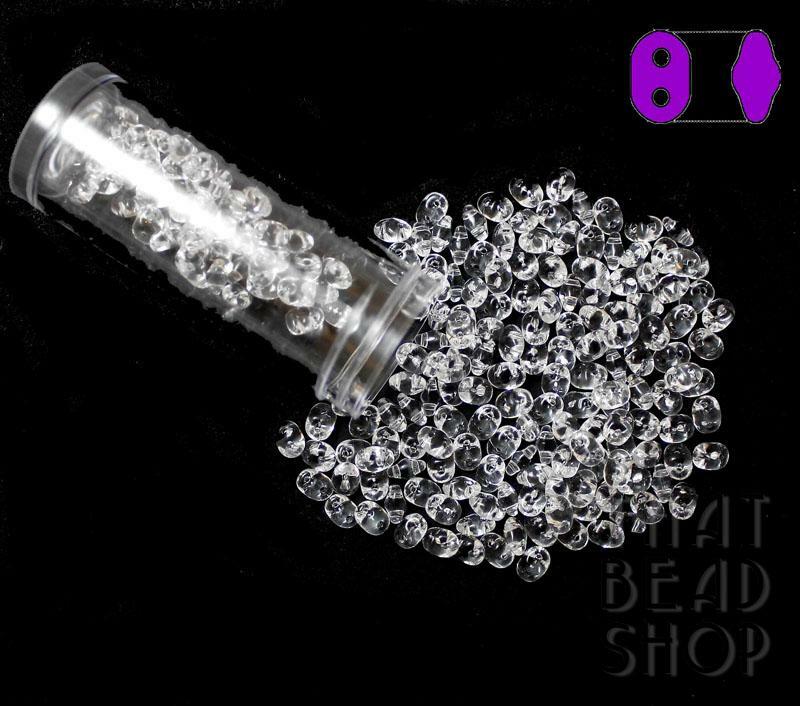 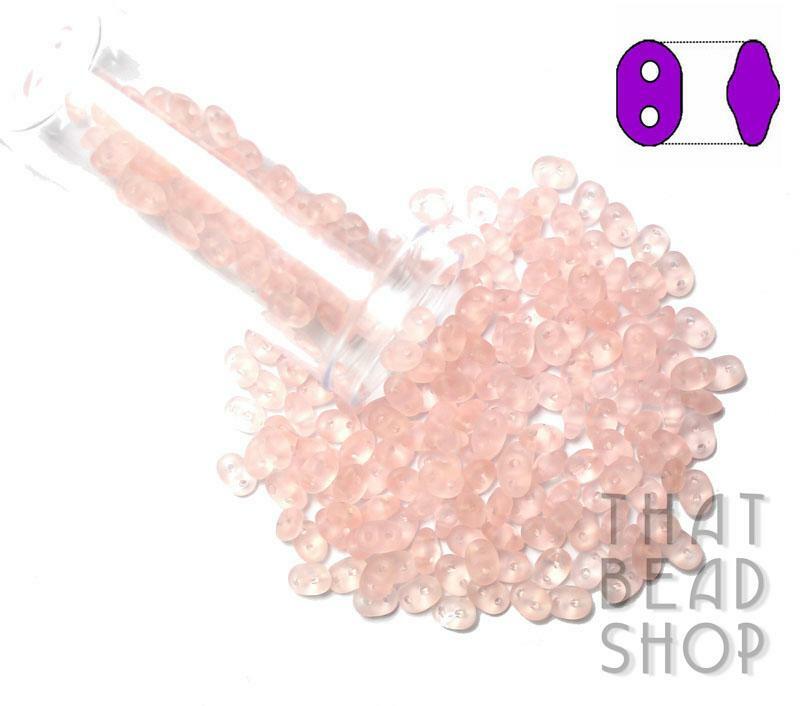 Each SuperDuo bead measures 5mm long and 2.5mm wide in the centre. 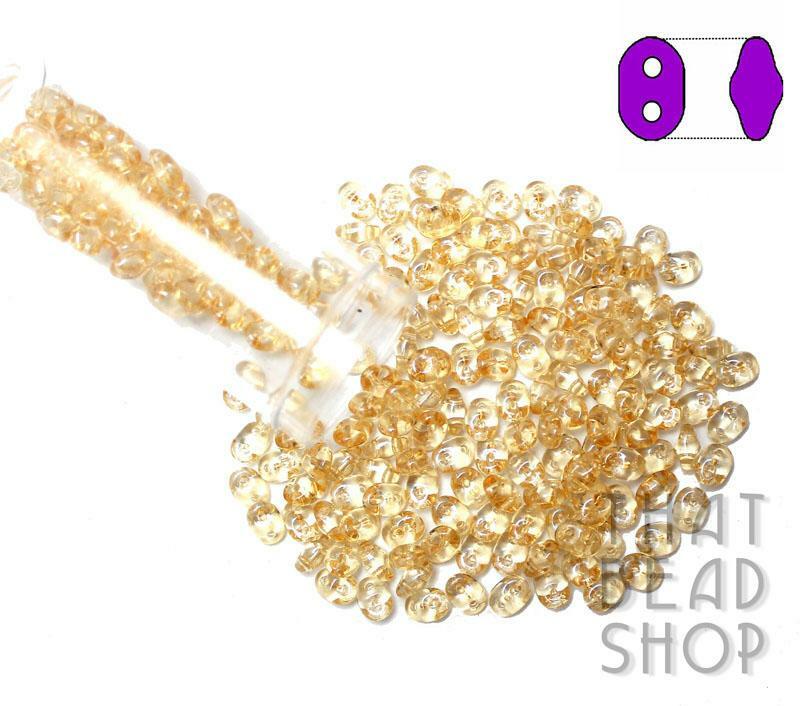 The center of each bead is wider than the ends giving it the Oval shape. 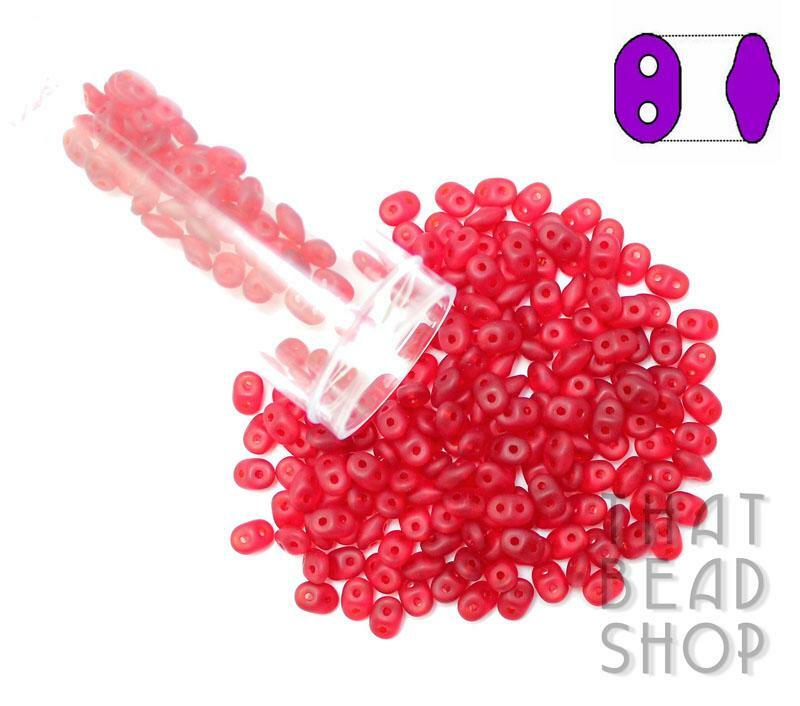 SuperDuos are made in moulds and are precisely manufactured and are even in shape and size. 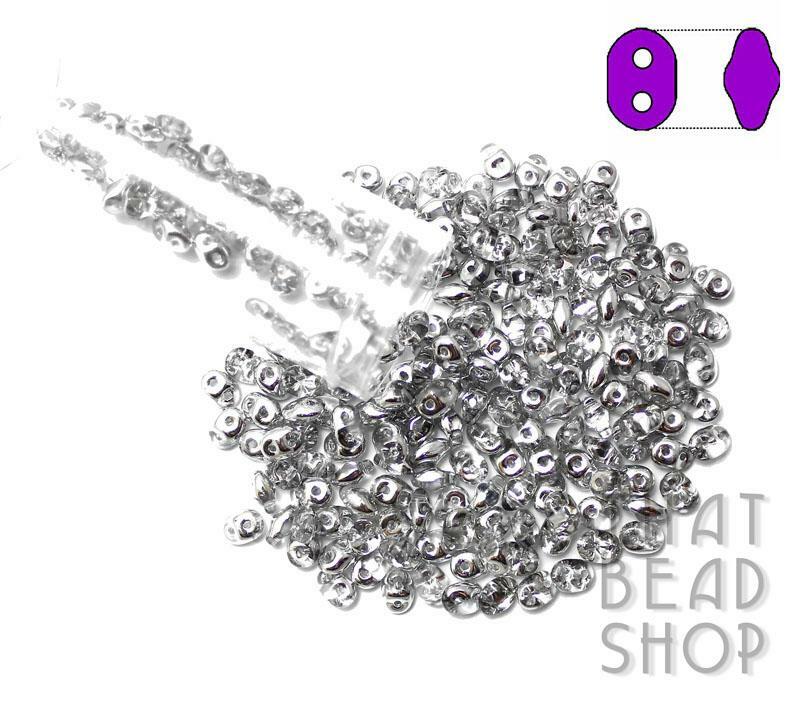 SuperDuos contain more glass and are heavier giving you a more substantial weight when using them.